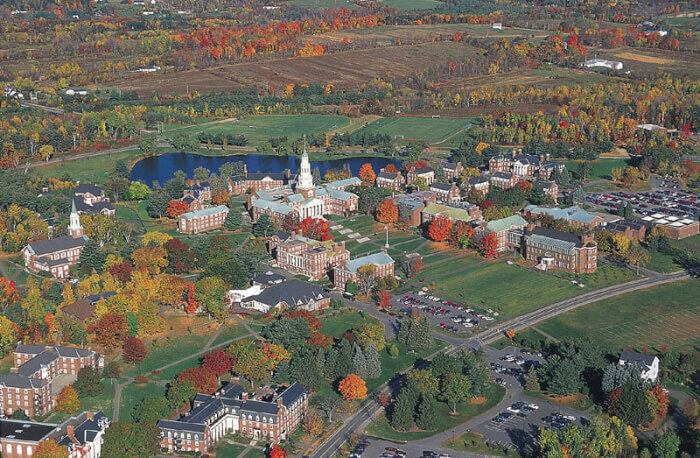 Colby College (in Maine) is one of the schools waiving YaYu’s application fee. The second $10 L.L. Bean gift card I received earlier in the month from an order was due to expire this coming weekend, so I applied it toward the purchase of a pair of Perfect Fit Pants (my all-time favorite travel pants), regularly priced at $39.95. Shipping from L.L. Bean is free, and there was no tax. As an added bonus, I am now able to order the pants in size small again! Even though she was not chosen as a Questbridge finalist, YaYu heard from several of their partner colleges this past week letting her know they will waive their application fee (regularly $60 per school) for regular admission if she still wants to apply (she does), saving us approximately $360. We’ve been working at lowering our monthly utility costs, and after a huge water bill last month due to a plumbing issue (that’s been resolved, thank goodness), this month’s water bill was down by more than $100, and was actually $18 less than our normal average monthly charge. Brett needed some screws to repair our mailbox after someone accidentally backed into it, and went to Ace Hardware on Tuesday to take advantage of their senior discount day. As a military retiree, he also received a 10% discount from Home Depot last weekend when he bought light bulbs and a couple of other items – he just had to show his ID card. We put $13.95 in to the change/$1 bill jar this week: $5.45 in change from Home Depot, and $8.50 from the farmers’ market. What frugal wins did you have this week? I have no idea where the plumbing problem was but if it was a leak in the water pipe from the street the water utility may give you a refund. We had this problem and were able to get a refund a part of several month’s payments with a statement from the plumber re: where the leak was. This was in Georgia though so no idea it this is a universal practice. The plumbing problem was inside the house – one of the toilet’s parts broke inside the tank and the water was silently running/draining constantly (thankfully not leaking all over though). The water company actually called us to let us know our bill was unusually high, which is what tipped us off something was wrong, and the landlord took care of it immediately. No-spend or low-spend weeks are the best, and yes, very frugal. We did look into round-the-word ticketing, but that was at the beginning and we didn’t have our itinerary set yet. Maybe it’s time we looked again though. We’ve found though that one-way tickets to most of the places we’re going are surprisingly reasonable, even for the long flights (the most expensive so far is New Zealand to Japan). But, I will check on a round-the-world ticket again and see if we can fly around for less. It’s great that YaYu will be able to have some of the application fees waived. The college application process sounds quite expensive these days! Sounds like a great & frugal week. I listed a bunch of stuff on eBay. I hate the process, but it’s hard to say no to a combination of decluttering & the potential to save money. Things surprise me, either less than I thought, or more than I thought, but my goal is to make $30 & toss it into the Christmas fund. The application fees alone to college can now cost a family several hundreds of dollars, depending on how many schools a student is applying. We’ve noticed though that several schools will waive the fee if your income falls below a certain level and you’re applying for need-based aid (yes on both for us). I agree with you about eBay, but they’re the best site for some things. I’ve sold most things, some for more than I was asking, and one batch of old campaign buttons when for several hundreds of dollars more – that was a sweet surprise! Great frugal wins that will help you reach your travel goals sooner! I was refurnishing our second bedroom and by going through our locker, I found (1) A bedside lamp, and (2) Bedding in great condition to re-use. No money spent and great for the environment. The other three frugal wins are events that I attended and they were free to the public (3) The World Press Photo 2017 exhibit with winning photos from around the world (4) A Painting Travel Exhibit by Mr. Robert Bateman, an extraordinary Canadian painter, and (5) A one-hour piano and cello recital by talented musicians who have performed internationally. I feel very fortunate to be able to attend these high quality and mind-enriching events. You’re very smart to “shop your own stuff” first when redecorating or refurnishing a room. I think there are actual designers out there you can hire that will come in and do it for you, but that’s a bit over the top for me. Your cultural events sound wonderful – I would have enjoyed both of them! I lived in one of the dorms in the photo! I spent three semesters at Colby and am happy to give you my two cents if you want to email me. Even though I’ve had a cold all week, I didn’t succumb to take out….man I wanted to….but some meals were “interesting” PB on apple slices, etc. I will pop you a line about Colby! It’s not YaYu’s first choice or even in her top three, but she would like to attend school in the NE since her sister is in the area, and Colby offers her major, and they give good financial aid. A friend’s twin daughters went to Colby and loved their time there, but if you’ve got something else to say about it we’d love to hear it. Is she planning to apply to Wellesley? I can understand why she’d want to be near her sister. There are a lot of colleges in that part of the NE so she should be able to find something. My nephew goes to college in Virginia, but he has friends at UVM, Holy Cross, UMass and Tufts if you need any feedback on those. I think he also has a friend at Babson or Bentley, but I can’t remember which. YaYu is applying to Wellesley. We’ve heard of a few other sister-duos attending at the same time. Wellesley is not her first choice, but WenYu is fine with her going to the same school if that’s how it turns out. YaYu’s applying to several schools in the northeast (Amherst, Colby, Bowdoin, Hamilton, Wellesley, Smith, Bryn Mawr, Colgate), because she likes those schools and she’d like to be closer to WenYu (YaYu has done a TON of research and based her choices on that). She has her favorites among those named, but would be happy to attend any of them depending on where she’s accepted. And, happy to go to UH over on Oahu if that’s how it ends up. The goal is to go to college, not attend a particular school or else. Trust me she would love Smith and Northampton Massachusetts!…….but I’m a little biased and from the area. And they would love to have her. Hope she gets many acceptance letters from all of these top schools….and gets to pick the one she truly wants. I just think there are so many great colleges in this country. Has she considered Trinity, Weslyan or Mt. Holyoke? Dartmouth, Brown…. And oh Amherst I am there every day! Driving thru…the kids seem happy, safe and well cared for. Brown is #1 on her list! I don’t think she’s applying to Mt. Holyoke, but know she is to Bryn Mawr. Amherst is also on her list. They’re all great schools, and they also give terrific financial aid, something that’s a necessity for us.